Explanation: Dark dust lanes cut across the middle of this gorgeous island universe, a strong hint that NGC 3628 is a spiral galaxy seen sideways. 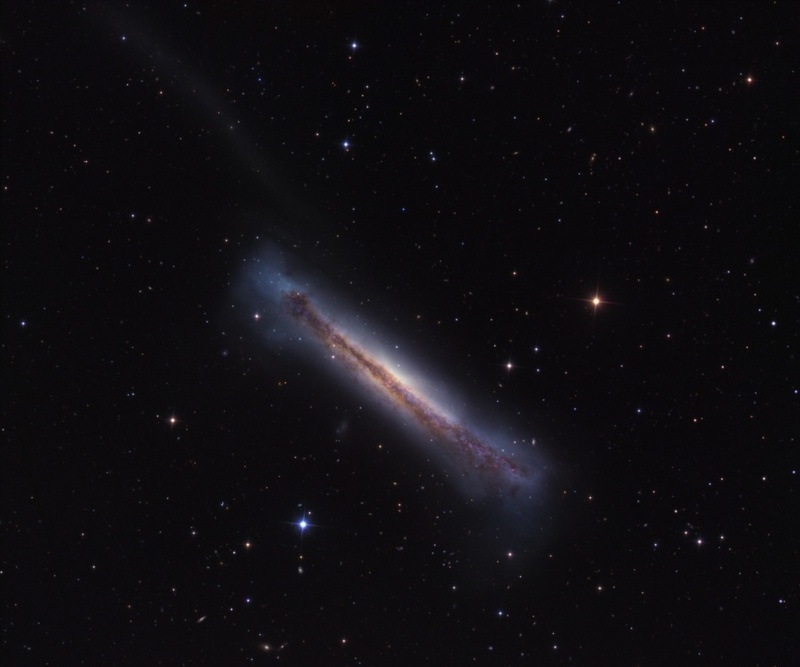 About 35 million light-years away in the northern springtime constellation Leo, NGC 3628 bears the distinction of being the only member of the well known Leo triplet of galaxies not in Charles Messier's famous catalog. Otherwise similar in size to our Milky Way Galaxy, the disk of NGC 3628 is clearly seen to fan out near the edges. A faint arm of material extends to the upper left. 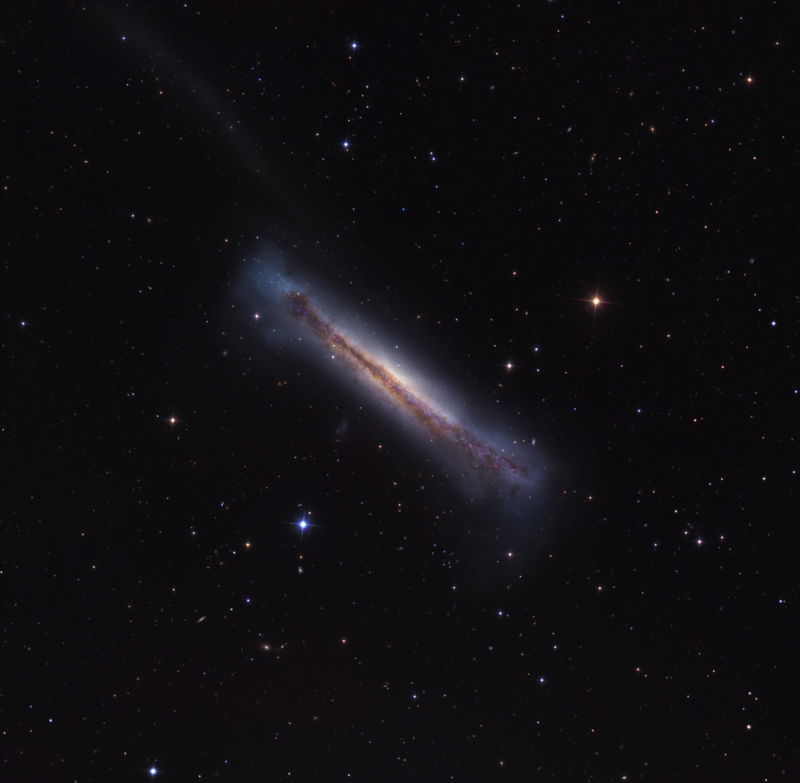 The distorted shape and faint tidal tail suggest that NGC 3628 is interacting gravitationally with the other spiral galaxies in the Leo triplet, M66 and M65. The dusty disk of NGC 3628 is also dotted with the telltale reddish hues of star-forming regions in this sharp telescopic view. Explore the full resolution version here.